The Golden Ticket 2018 winners! 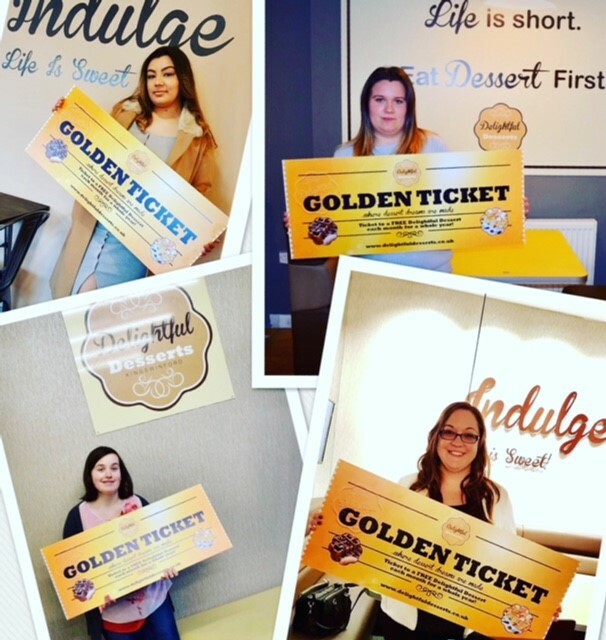 Congratulations to the winners of the Golden Ticket 2018 competition! They are now enjoying free desserts for a whole year! Make sure you sign up for our newsletter so we can tell you about all the delicious promotions and offers we have!